Our client network stretches far and wide, and the charity / humanitarian sector plays a considerable part in this. From Youth Service boards, to the inner city training centres they represent and everything in between. The work these centres and associations do is invaluable for our community, and we like to think that we can do something small for them with our exceptional service. Doras Bui are a Single Parents support service based in Coolock. 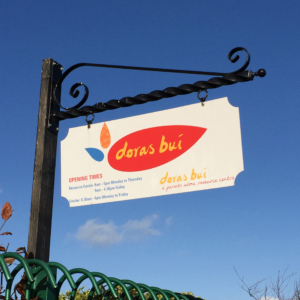 We have been dealing with Clare and the team at Doras Bui in Coolock for over 12 years. Throughout that period, they have always had at least one of our machines. Partly because when it comes to charities, our pricing structures are extremely fair, but more importantly because none of our clients are an account number – they all signify relationships which have taken decades to form. They also happen to organize some of the best raffles this side of Vegas.